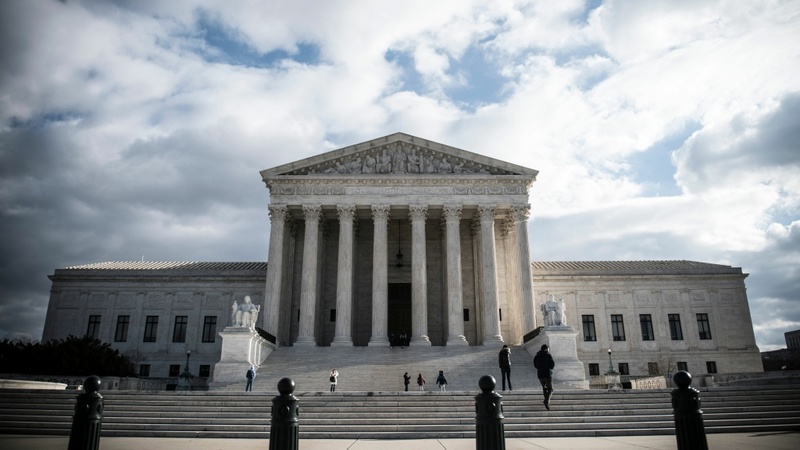 The Trump administration is planning to ask the Supreme Court to take up a sped-up review of a lower court's ruling that blocks the addition of a citizenship question to the 2020 census. The move comes a week after U.S. District Judge Jesse Furman, who presided over two New York-based lawsuits, issued the first major district court ruling on the legal battle over the citizenship question. More than two dozen states, cities and other groups have filed multiple lawsuits around the country to get the controversial question removed. Critics of the question fear that it will result in an undercount of noncitizens, and any citizens living with them, who may be scared of disclosing their U.S. citizenship status in the current political climate. That could jeopardize the accuracy of population counts used to determine how congressional seats and Electoral College votes, as well as hundreds of billions in federal funding, are distributed among the states after the census. The Trump administration maintains it wants responses to the question to better enforce part of the Voting Rights Act. Judge Furman, however, concluded in his opinion for the New York cases that the administration misled the public with that "sham justification." Last week, the Justice Department filed a notice that it is appealing Furman's ruling to the 2nd U.S. Circuit Court of Appeals. The government, however, is facing a looming deadline. The Census Bureau says questions for the 2020 census must be finalized by June so that paper forms for the upcoming national head count can be printed without disrupting final preparations. In Tuesday's filing, Solicitor General Noel Francisco writes that the administration is preparing a separate court filing that will ask the Supreme Court to hear the cases in April or May so that the high court can issue a decision before the end of its current term in June. That would bypass the appeals process at the 2nd Circuit. The justices are next scheduled to meet and discuss cases on Feb. 15. The question that the administration would like the justices to consider, Francisco says, is whether or not Judge Furman wrongfully ruled that the decision by Commerce Secretary Wilbur Ross to add a citizenship question to the 2020 census was a misuse of Ross' authority over the census. The Justice Department has also requested the Supreme Court to move forward with a review of a related evidence dispute over whether Ross can be questioned under oath by the plaintiffs' attorneys, among other evidence issues. Last week, the justices canceled a February hearing over those issues after the plaintiffs' attorneys noted that Furman's ruling — which was based only on internal emails, memos and other documents the Trump administration were initially required to release — had neutralized the evidence dispute. Earlier on Tuesday, the chair of the House Committee on Oversight and Reform — Rep. Elijah Cummings, D-Md. — announced that Ross would appear before lawmakers for a March 14 hearing about the citizenship question. The third courtroom trial over the question also began in Maryland.